The Museum of Costume Jewellery in Casalmaggiore, in the province of Cremona (Lombardy region), is a unique museum in Italy. It is home to over 20 000 costume pieces, including rings, necklaces, bracelets, and earrings from the last years of the 19th century to the 1970s: the reign of imitation gold. 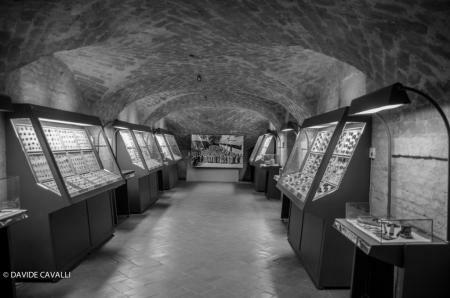 If you are a vintage enthusiast and love beauty, come with us to discover the collection that has made Casalmaggiore the capital of costume jewellery. In addition to nurturing your passion for this type of jewellery, you can also learn about the history of costume jewellery and see the original machines used to produce these interesting and unique pieces. It is like a museum of industrial archaeology, with an educational and a professional workshop to create your personal costume jewel.